According to an updated market forecast from ABI Research, the installed base of active wireless connected devices will exceed 16 billion in 2014, an increase of nearly 20% from 2013. The number of devices will more than double from the current level, with 40.9 billion projected for 2020. 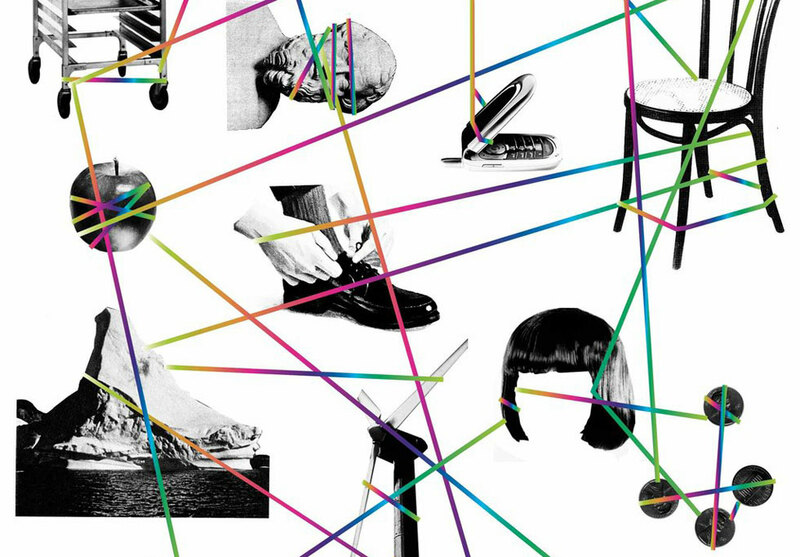 “The driving force behind the surge in connections is that usual buzzword suspect, the Internet of Things (IoT). If we look at this year’s installed base, smartphones, PCs and other ‘hub’ devices represent still 44% of the active total, but by end-2020 their share is set to drop to 32%. In other words, 75% of the growth between today and the end of the decade will come from non-hub devices: sensor nodes and accessories,” revealed Aapo Markkanen, Principal Analyst. From a tech supplier’s strategic point of view, the critical question that lies ahead is how the plethora IoT devices will ultimately be connected. Until recently, the choices that product OEMs have faced have been fairly straightforward — with cellular, Wi-Fi, Bluetooth and others all generally addressing their relative comfort zones. Going forward, they will be in an increasing competition with each other, so for the suppliers the strategic stakes are getting much higher. “The recently introduced Thread protocol, spearheaded by Nest Labs, is not only setting the bar higher for ZigBee in the 802.15.4 space, but also piling up pressure on Bluetooth suppliers to enable mesh networking. In the meantime, the LTE-MTC and LTE-M initiatives may well expand the market for cellular M2M, while startups like Electric Imp and Spark could do the same for Wi-Fi. And finally, we also shouldn’t ignore what’s going on with passive, proximity-based connectivity offered by RFID and NFC,” added ABI Research Practice Director Dan Shey. Another prime example of this convergence is the newly-unveiled Open Interconnect Consortium (OIC), formed by tech leaders Atmel, Broadcom, Dell, Intel, Samsung and Wind River. The aim of this new project is to establish a common communication framework based on industry standard technologies to wirelessly connect and intelligently manage the flow of information among devices, regardless of form factor, operating system or service provider. The OIC also intends to deliver open source implementations for a variety of IoT market opportunities and vertical segments from smart home solutions to automotive and more, utilizing both existing and emerging standards like Wi-Fi, Bluetooth, Wi-Fi Direct, Zigbee, Zwave and Ant+. The new Atmel | SMART product line includes the SmartConnect wireless IC family, which combines ultra-low power Atmel MCUs with wireless solutions and complementary software. The SmartConnect wireless portfolio is a family of self-contained, low-power, and certified modules bringing wireless Internet connectivity to any embedded design, without compromising on cost and power consumption. Adding to the already broad family are recently-acquired NMI’s 802.11n Wi-Fi and Bluetooth certified products. These innovative, highly-integrated solutions will accelerate seamless communication and connectivity for the IoT. “Combined with our existing Wi-Fi and Zigbee solutions and industry leading microcontroller portfolio, Atmel is positioned for substantial growth in the Internet of Things marketplace,” explained Atmel CEO Steve Laub. This entry was posted in Design Trends, IoT and tagged ABI Research, Bluetooth, Internet of Things, IoT, mesh networking, Non-Hub Connected Devices, Open Interconnect Consortium, RFID, Sensor Nodes, WiFi, wireless, Wireless Mesh, ZigBee on August 26, 2014 by The Atmel Team. Back in January, the Ninja Blocks team launched a Kickstarter campaign for their highly-anticipated Ninja Sphere device, successfully garnering nearly $600,000 above their crowdfunding goal. What makes this platform so desirable? Not only does Ninja support a huge assortment of devices, but because of its its open source approach, nearly anyone can write and share a driver to connect a gadget to their sphere. 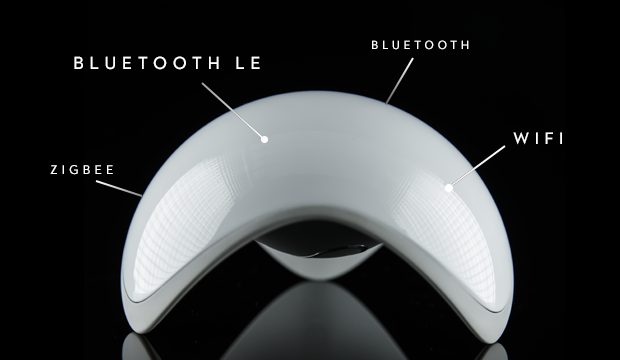 With Ninja Sphere, users have abilityUsing GPS, ZigBee, Wi-Fi, and Bluetooth LE (Low Energy, Bluetooth 4.0), Ninja Sphere is able to locate and connect each of the smart devices throughout your home. Ninja Sphere is able to detect both GPS and Bluetooth LE signals and their range, using “trilateration” to create a map of smart devices in your home. Ninja Sphere is meant to remove the step between the smart home’s smart devices and you having an intuitive experience. Instead of requiring a new app for every new device, Ninja Sphere keeps things simple. The Sphere has seemingly limitless possibilities to control your home. It can alert you if you walk out of the door without your keys or if you happen to leave the oven on. It can even learn your family’s patterns over time and adapt to your daily routine. The Sphere is an evolution of the earlier Ninja Blocks device, but takes that early machine’s potential to another stratosphere. Through connectivity via the Internet of Things, the Sphere unit not only has the ability to monitor your home environment, but the device itself functions as a customizable remote. With the Sphere, a user can engage touch controls and basic gesture movements to stay up to date with your surroundings. You can page through informational updates, or assign customized actions to taps, swirls, and swipes. 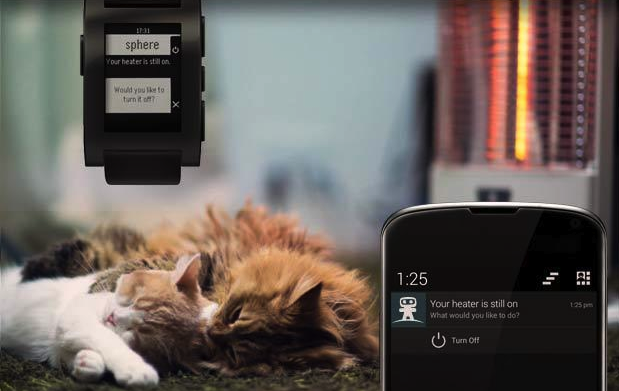 “Since the Sphere can connect to BLE devices, it can locate pets and items tagged with those small BLE locators like Gecko. It can even tell you if one of the things you’ve tagged has been moved and gives you the option to activate cameras in the room, if available. The device can also serve as a hub for Philips Hue, Belkin WeMo, and Dropcam, among other high-tech systems for the home,” Engadget’‘s Mariella Moon writes. Based on the device’s original Kickstarter page, these are but some of the things the Sphere can do, as it comes equipped with ZigBee radio for more advanced home automation and even comes with a USB port that allows for Arduino-based projects to be linked to the system. 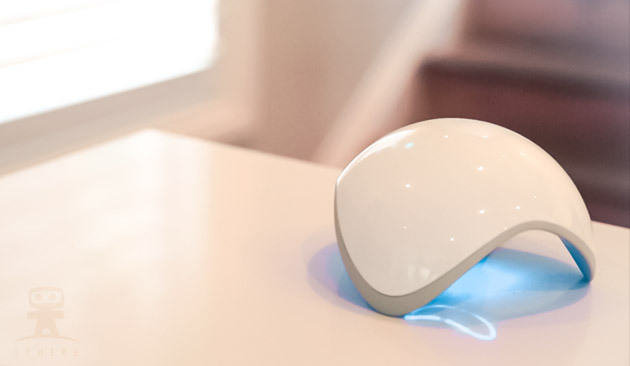 The Ninja Blocks team touts the Sphere as a “brain for your home” and that may be the best way to describe the flashy white unit. Whether it is controlling the temperature of your toddler’s room, or alerting you to the whereabouts of your beloved family dog, the Sphere can be the focal point of the smart home of the future. The Sphere is currently in a pre-order stage and this home “brain” could be yours for just $329. For more information about the IoT hub, you can click over to the Ninja Sphere site to see a full breakdown of the product. This entry was posted in IoT, Product News and tagged Bluetooth LE, GPS, Internet of Things, IoT, Ninja Blocks, Ninja Sphere, smart home, WiFi, ZigBee on August 6, 2014 by The Atmel Team. Architect Luis Hernan has created a psychedelic Kirlian Device that picks up on Wi-Fi signals and translates them into colored lights. As Sydney Brownstone of FastCo.Exist reports, the Kirlian Device is named after Russian inventor Semyon Kirlian who developed a mystical, glowing style of photography said to capture the vivid “auras” of torn leaves and other living things. Wired has dubbed Hernan as “a modern day ghost hunter” in search of technological apparitions that surround us in everyday life. 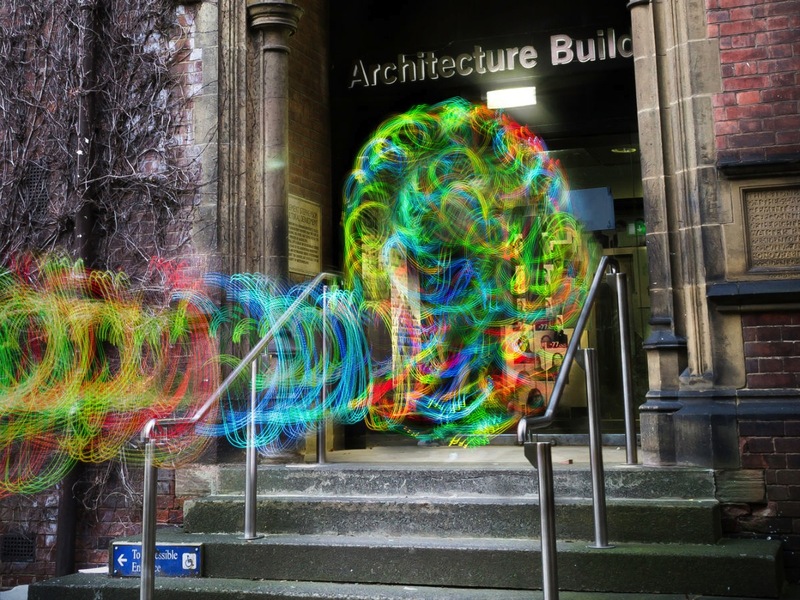 Whereas a vast majority of us are in search of Wi-Fi signals on a regular basis, not many have been on a quest to visualize the networks that keep us connected in order to gain a better understanding of these wireless systems. “When you actually make this information visible, you at least have the opportunity to adapt these technologies to their specific needs, Hernan told Wired. Hernan’s Kirlian Device — which picks up on observable frequencies — was originally built with an Atmel based Arduino board and LED lights. It is tasked with translating Wi-Fi networks into colors, with red indicating the strongest signal and blue, the weakest. Essentially, the modern day Kirlian Device uses the same technology as a laptop to scan for the strongest network signal. It should be noted that Hernan has also coded a Kirlian mobile app, which is designed to reveal Wi-Fi fields by means of long exposure photography and aural atmospheres. “There is a hidden poetry in these kinds of signals,” Hernan believes. Intrigued? You can download the Kirlian mobile app here. This entry was posted in Arduino, Maker Movement, Young Makers and tagged Arduino, Arduino board, Atmel, aura, colored lights, FastCoExist, Kirlian device, Luis Hernan, mobile app, Semyon Kirlian, Sydney Brownstone, This Architect Is Wearing His Wi-Fi Signal, vivi, WiFi on July 9, 2014 by The Atmel Team. Designed by Italian frame-builder Giovanni Pelizzoli and student Alice Biotti, the Samsung Smart Bike is built around an aluminum frame that boasts curved tubes to soak up vibrations from riding on rough city streets. As Gizmag’s Ben Coxworth reports, a rearview camera is located between the seat stays of the frame to stream live video feeds to a handlebar-mounted Samsung smartphone. “There are four lasers built into the frame, that project a bike lane onto the road on either side of the bike, as it’s moving. Those lasers automatically come on as ambient light levels drop, as detected by the smartphone,” writes Coxworth. 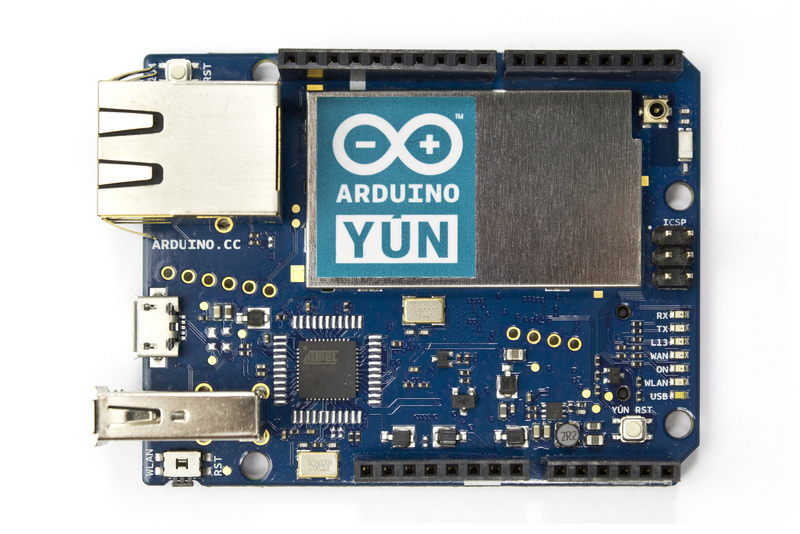 The frame is also equipped with a battery, Atmel based Arduino board, as well as WiFi and Bluetooth modules. Interested in learning more? Ride on over to Smart Bike’s official page here. This entry was posted in Arduino, Maker Movement and tagged Alice Biotti, Arduino board, Atmel, Ben Coxworth, Bluetooth, Giovanni Pelizzoli, Gizmag, Samsung, Smart Bike, WiFi on June 11, 2014 by The Atmel Team. Intoino – which recently surfaced on Indiegogo – is a comprehensive lineup of kits that allows Makers to easily build a wide range of electronic devices and Internet of Thing (IoT) platforms. “Intoino Maker Kits are for inventors, designers, students and all creative minds willing to turn their electronic product idea into reality. [The] kits are LEGO-like boxes containing an Arduino Leonardo (Atmel ATmega32u4 MCU), Tinkerkit sensors, actuators and the Intoino Bulb (the smart WiFi antenna) that connects your Arduino and its sensors to the Internet for IoT applications,” an Intoino rep explained. At its core, the Intoino platform (bulb) is powered by Atmel’s ARM-based SAM4L microcontroller paired with an IEEE 802.11 b/g/n wireless module that can be used for wireless programming and connecting various IoT sensors. It should be noted that Intoino also maintains an official app store, allowing Makers to share or sell their projects. Current use cases listed on Intoino’s website include an automatic pet feeder, tweeting plant, gas alert alarm and a sound activated lamp. Interested in learning more? You can check out Intoino’s official Indiegogo page here. This entry was posted in Arduino, IoT, Maker Movement and tagged actuators, Arduino Leonardo, Atmel, Atmel ATmega32u4 MCU, Bulb, Indiegogo, Internet of Things, Intoino, IoT, LEGO, Makers, modem, Sensors, tag1, Tinkerkit, USB-OTG, WiFi on May 13, 2014 by The Atmel Team. Mirobot – created by Ben Pirt – is an Atmel-powered (ATmega328 MCU) DIY WiFi robotic kit designed to help children learn about technology and programming. “It’s fun to build and easy to start programming it to draw shapes. The chassis is laser cut and snaps together quite easily. Mirobot is robust, but also quite simple. Kids can understand how it works and what it does,” Pirt explained in a recent Kickstarter post. Mirobot can be programmed in a number of different ways, including a web-based GUI which is similar to LOGO, albeit with drag and drop. “Mirobot is a completely open robotics platform – all of the code and designs are open-source so you can modify them to make it do exactly what you want. One of the big benefits of this is that as people make it do new and interesting things, they can be shared with the community to everyone’s benefit,” Pirt added. Interested in learning more? You can check out Mirobot’s Kickstarter page here and the project’s official page here. Adafruit’s Tony DiCola has put together a detailed tutorial describing how to transform an Atmel-based Arduino Yún (ATmega32u4 MCU) into a soundboard that can be controlled from a webpage over WiFi. Aside from the Atmel-powered Arduino Yún, key project components include a MicroSD card with 20 megs of available space and a USB audio adapter (or USB speakers). “Before you get, started you will want to have your Yun connected to your wireless network and be familiar with connecting to the Yún over SSH,” DiCola explained. The project’s first step? Making sure the MicroSD card is inserted into the Yun and powered on. After connecting to the Yún with SSH, Makers are instructed to install the audio and drivers. Next up? Installing and configuring the Flask web application framework. As DiCola notes, Makers can add their own sounds to the soundboard by simply copying MP3 files into the YunSoundboard-master/sounds folder. For Mac or Linux, the scp tool is used to copy files from a PC to the Yun by executing in a terminal. On Windows, Makers will need to install the pscp utility, with the syntax the same as used for the Mac/Linux command, except for the ‘pscp’ command instead of scp. “Once the sounds are copied over, reload the web page and you should see them added to the list of sounds automatically,” he noted. According to DiCola, the above-mentioned project is a great example of how to use the Yún’s Linux processor to host a web application and play sounds. Of course, the basic project can be modded or expanded to run on other boards. Makers can also copy their music collection to the device for WiFi controlled boombox, or hook up a PIR motion sensor to the Yun and have the web page alert them if someone is near the device and ready to be pranked. As we’ve previously discussed on Bits & Pieces, the Atmel-powered Yún has been used in a wide variety of Maker projects that we’ve recently covered, including an electricity monitor, mesh extender platform, high-five camera, Foursquare soap bubble machine, a Gmail (alert) lamp, water heater regulator, smart measuring camera and a security camera. Interested in learning more about building a WiFi Yún soundboard? You can check out Tony DiCola’s full tutorial on Adafruit here. This entry was posted in Arduino, Maker Movement and tagged a Gmail (alert) lamp, Adafruit, Arduino Yún, Atmega32u4 MCU, Atmel, electricity monitor, Foursquare soap bubble machine, high-five camera, mesh extender platform, security camera, smart measuring camera, soundboard, Tony DiCola, water heater regulator, webpage, WiFi on May 2, 2014 by The Atmel Team.